Dulwich edged out Hungerford in a scrappy encounter at Bulpit Lane to claim the three points. The hosts made a bright start with midfielder Alfy Whittingham hitting the bar in the first minute and James Rusby striking the same spot early on. Dipo Akinyemi forced a low save from Jacob Weaver after good work to get away from Tarik Moore-Azille. The game finally game alive when on his league debut Danilo Orsi-Dadomo hit a stunning long range strike into the roof of the net to give Hungerford the lead. 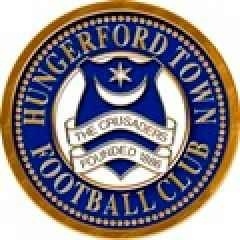 A second goal for Hungerford at that point might have sealed the game but it didn’t come despite being on top. Needing a response after half time Dulwich scored just seven minutes after the restart. A corner was whipped in to cause havoc in the box and despite frantic efforts to keep the ball out from Weaver, defender Nathan Green headed in for the equaliser. The crusaders nearly responded straight away but a reflex save from Preston Edwards denied player/manager Ian Herring a goal. The visitors then turned the game around to lead with another corner causing more mayhem and Kingsley Eshun scrambled home despite home appeals for hand ball. James Rusby had a late shot turned away by Edwards before Jay May curled wide in added time.